"Causes of cataracts in dogs include diabetes, injury, eye inflammatory diseases (uveitis), hereditary predisposition or unknown. The condition causes cloudiness on the eye lens, reducing the eyes ability to focus light and see as it hits the retina. 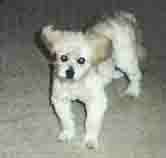 It can occur in any dog breed at any age and can progress quickly or slowly. Some dogs have an allergic reaction to the cataract causing glaucoma and scars. The only viable treatment option is surgery, or if the dog is not a candidate for surgery, then medications are used. Dogs treated with surgery will receive an artificial lens that will restore normal vision in 80% to 90% of cases. If left untreated, cataracts can cause blindness, inflammation inside the eye (uveitis) and glaucoma, which creates painful pressure on the eye. 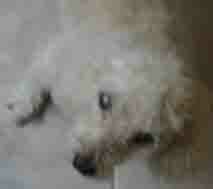 Cataracts are the leading cause of blindness in dogs." Cataracts in dogs is a condition where the inner lens of the eye becomes cloudy. The cloudiness is caused by alternations in the fibers that make up the eye lens due to problems with lens nutrition, metabolism, protein synthesis, energy metabolism or fluid pressure in the eye (osmotic balance problems, caused by diabetes). This partially or completely blocks light from getting to the retina, the part of the eye that generates images. Cataracts can appear in small spots, a haze across the lens or as white streaks. It can cover a small area and then spread over a larger surface. The disease appears to progress faster in younger dogs. How fast it spreads is unpredictable. It can occur in any breed at any age, and in one eye or both. If left untreated, cataracts can lead to blindness. The disease can also trigger glaucoma, a painful dog eye condition, and scarring in the eye (from allergy to the cataracts). In dogs with diabetes, 75% will develop cataracts within 1 year. The diabetes causes blood sugar levels to rise, affecting the osmotic balance in the eye lens. The enzyme aldose reuctase inhibitor causes the sugar to become trapped in the lens, causing fluid buildup and protein changes in the eye. This leads to lens fiber swelling that results in cataracts in dogs. 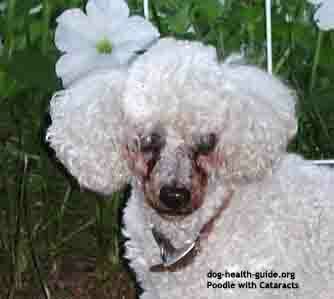 Some diabetic dogs that are being actively treated will still develop cataracts. 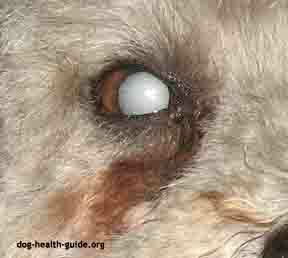 In diabetic dogs, early signs of cataracts include excessive urination (polyuria) or abnormal thirst (polydipsia). There is a higher incidence of dog cataracts in 60 dog breeds with a 15% higher incidence in mixed breeds over age 7. Some breeds have an incidence of genetic cataracts as high as 10%. Vision problems do not occur until the disease is in an advanced stage, which is why annual visits to the Veterinarian are critical to catch the disease early. Owners should also look for the characteristic cloudy lens appearance. Canine cataract diagnosis starts with a complete eye examination to determine if treatment will help the eye. The eye will be examined with a device called an ophthalmoscope, which is a light attached to a magnifying glass. This will be followed by the use of eye drops to test for eye pressure and ulcerations of the eye. An ultrasound can evaluate the condition of the lens capsule and check to see if the retina is detached. Prior to surgery a test called an electroretinogram is used to evaluate degeneration of the retina. First, the veterinarian will determine if the patient is a candidate for surgery, since this is the preferred method of treatment. Dogs will be assessed based on their overall health, presence of other inflammatory eye conditions or if the dog has diabetes. The veterinary opthalmologist will also check to make sure that the retina is functioning and healthy. The surgical procedure itself is called phacoemulsification. The procedure involves the use of general anesthesia and takes 45 to 60 minutes. The veterinarian will remove the eye lens, replacing it with an artificial lens. 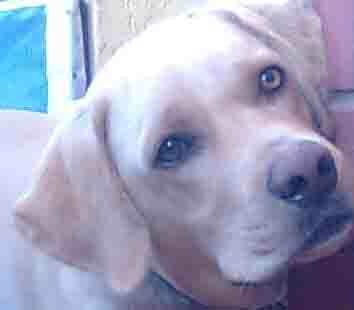 The success rate for dog cataract surgery is 80% to 95% with good vision. Once surgery is completed vision will gradually improve over several days. Full recovery is reached in 6 weeks. After surgery dogs are fitted with a preventive cone shaped clear collar to prevent scratching and so that the dog can see. After surgery, you will have to administer eye drops into your dogs eyes for several weeks. During the first 6 weeks drops need to be given multiple times per day. Once blindness sets in to one eye and if it starts in the other eye, then surgery in both eyes is called for. It has been performed successfully on dogs between the ages of 6 months to 18 years (assuming your dog is in good health). No medications are available to treat or prevent dog cataracts. If a dog is not a good candidate for surgery, the opthalmologist will assess the dog's condition 1x to 2x per year to monitor the progress of the disease. The veterinarian will monitor for conditions such as inflammation (uveitis), or glaucoma (high blood pressure). 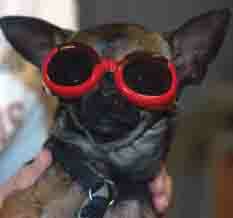 Glaucoma in particular can be painful for the dog. In the case of diabetes, drops called aldose reductase inhibitors have shown some success in slowing the progression of the disease if caught early enough.